Loved it! 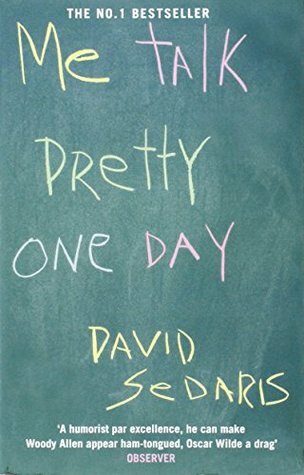 Sedaris is so witty and hilarious. I've enjoyed other works of his, and this one was no exception. His essays are very dry and matter-of-fact, while exhibiting his amazing sense of humor and imagination. I'm not usually one for books-on-tape, but this one I might have to check out for my next long drive. High recommend! Sign into Goodreads to see if any of your friends have read Me Talk Pretty One Day.